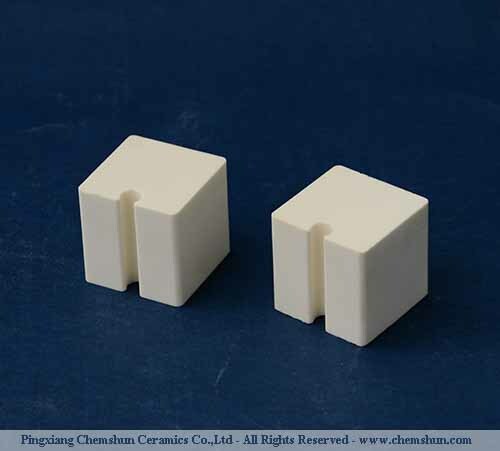 Chemshun® Alumina Ceramic Blocks are designed with tongues and grooves, it is used widely in pipe lining, ceramic rubber plate etc. Chemshun Alumina Ceramic Blocks are designed as per the requirements of the customers’ engineerings combined with the cost, installation and effective of application. Especially the blocks with tongues and grooves, Its obvious performance is that they could lock each other due to the tongues and grooves to increase the connectivity in whole engineering. So it is used widely in pipe lining, ceramic rubber plate in mining industry, steel plant, cement plant, port, power plant,etc.